Senior Dogs Want to be Loved Too! It is a known fact that human nature draws us towards newborn babies like no other category of human beings does. It is no different when it comes to our attraction towards puppies. The level of anticipation and excitement one feels when purchasing or adopting a puppy or very young dog is difficult to put into words. But let’s take a few minutes and reflect on one simple, but important issue: what about all those middle-aged and senior dogs who for one reason or another are finding themselves without a home? Do they not deserve the same love and attention given to their younger counterparts? Like with just about anything in life, there are preconceived notions and misconceptions about opening one’s home and heart to an older dog. The most frequently heard comments are that an older dog can’t be housebroken, that emotionally it’s too difficult to get a senior dog because more than likely it will be with its new family for just a couple of years, or that a senior dog will need extensive and costly medical care. Within our PVPC family, we have and continue to rescue Pekingese of all ages. The younger ones typically get adopted quickly, while the older dogs remain in foster care for months and sometimes become a permanent member of their foster family because no one applies to adopt them. In this article, we would like to present a different perspective with regard to adopting a middle-aged or senior dog. First of all, let’s think about the joy we get from having a dog in our lives. Second, let’s consider the fact that we experience that joy whether the dog is young or old. A young dog is like a toddler who goes through the terrible twos stage of life for many years. We don’t all have the stamina and energy necessary to keep up with all that exuberance; neither do we all have the patience required to housebreak a puppy and teach it proper manners. Simply put, taking care of a very young dog is a lot of work! Housebreaking a dog of any age is the responsibility of its owner. When dealing with an older dog, one advantage is that the dog may have some residual memory of having been housebroken before. So, if the dog is let out often enough, it will learn what it’s being asked to do a lot faster. The bottom line is that housebreaking an older dog can be done. Losing a beloved dog is a terribly painful ordeal and the sense of loss we experience takes a long time to get over. Unfortunately, due to a variety of diseases and illnesses, we lose dogs of all ages, not just senior ones. It seems unfair to make the assumption that it is only the older dogs that get sick and end up costing their owners extensive amounts of money. Many Pekingese live well into their teens and require modest healthcare expenditures. There are few veterinary procedures that a dog might need during its life span that are of an extraordinary nature. It is my biggest hope that after reading this article people will have a different view of middle aged and senior dogs and that at some point in their lives they will consider opening their hearts to one and reaping the innumerable rewards that come with saving an older pooch. None of us know how long we are going to live or how long our dogs are going to live. 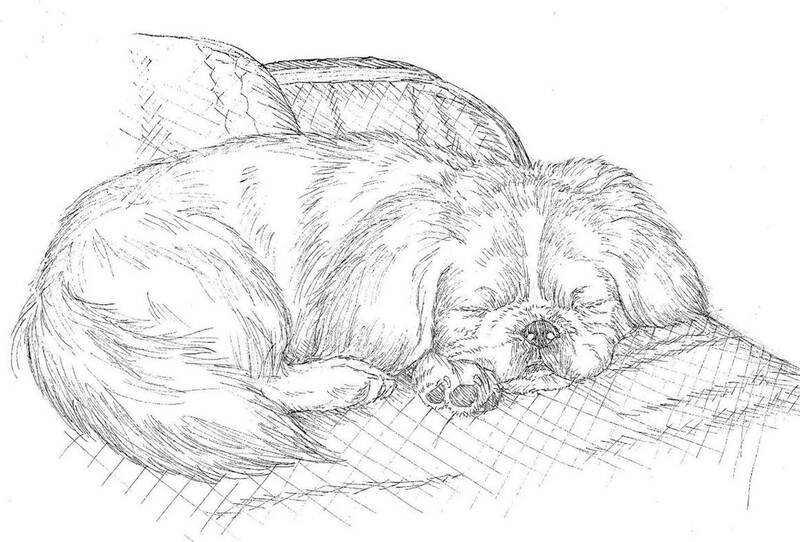 Therefore, why not give an older Pekingese a chance to enrich our lives for whatever time it has left? The reward is one that people might find surprising.